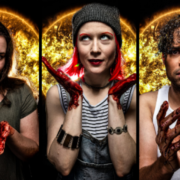 A very dark comedy by Steve Yockey April 19 – May 11 If Hellraiser were a sitcom, it might be like this play. Know Theatre is delighted to close ..
April 13—May 11, 2019 (Cincinnati, OH) It’s time to walk the line. Ensemble Theatre Cincinnati presents the regional premiere of Skeleton Crew, a compelling ..
Photo Credit Matthew Murphy Cameron Mackintosh’s acclaimed new production of Boublil and Schönberg’s legendary musical MISS SAIGON—a smash hit in London, ..
SPECIAL LIMITED RUN: March 28 – 30 “so you want to build a simple nuclear bomb” Join us at Your Theatrical Playground, Know Theatre, for a rare ..
CINCINNATI—Spring and comedy are in the air beginning March 23 when THE THANKSGIVING PLAY, with support from the Rosenthal Family Foundation, opens the in the Shelterhouse ..
(Cincinnati, OH) Nora’s back, and this time, she’s kicking down the door! 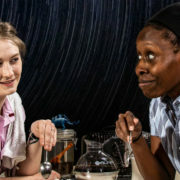 Ensemble Theatre Cincinnati presents the regional premiere of the scintillating ..
Leah Strasser as Jessa and Lormarev Jones as Sam in Always Plenty of Light at the Starlight All Night Diner at the Know. Photo by Dan R. Winters. The end of the world ..
Cities change. People change. Get on the bike and ride. 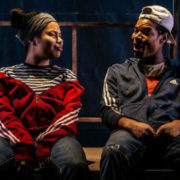 Know Theatre’s 21st season jumps back into action in 2019 with the National New Play Network ..
Falcon Theatre’s first production of 2019 is Jessica Blank and Erik Jensen’s The Exonerated, the true stories of six people who collectively spent .. 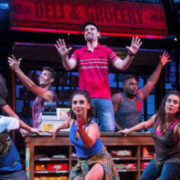 IN THE HEIGHTS, MIRANDA’S FIRST MUSICAL, WON FOUR TONY AWARDS (CINCINNATI) —Hamilton creator Lin-Manuel Miranda’s musical IN THE HEIGHTS will ..